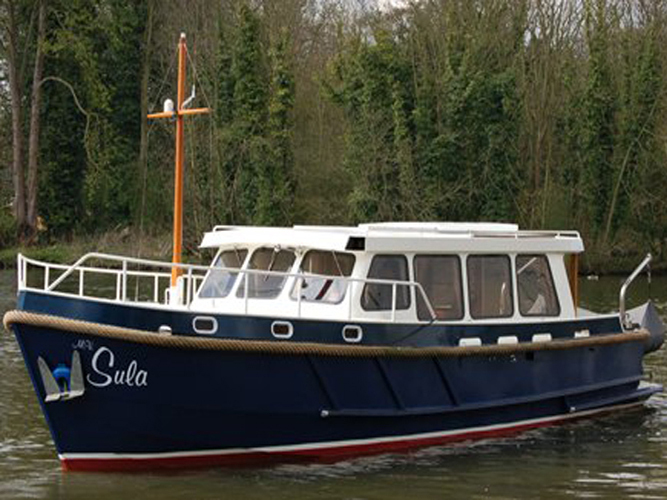 We run a fleet of five luxury river cruisers based in various locations on the Thames. We work with many of the excellent riverside restaurants and hotels. Many of our customers choose to bring a picnic and enjoy the beautiful scenery. For more information please use the navigation bar at the top of the page, or click on one of the pictures below to see details of each vessel. Based in Maidenhead, Fringilla is ideal for groups of up to 12. 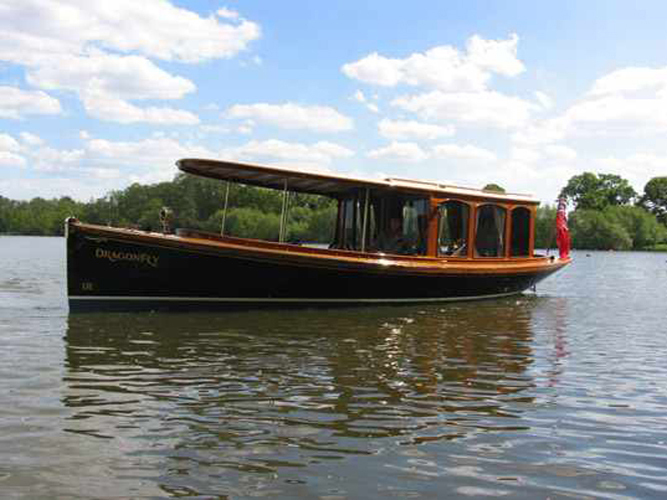 A stunning vessel, Dragonfly is perfect for adding something extra to a meal at The Waterside Inn or a stay at Monkey Island or Cliveden House. 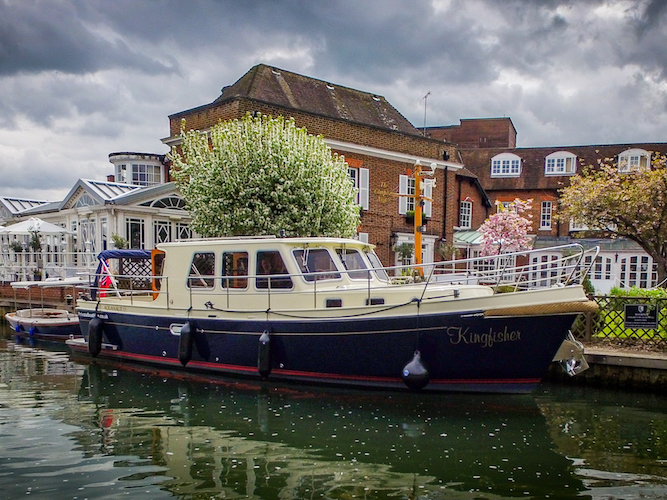 Kingfisher, based at The Compleat Angler Hotel in Marlow. A spacious modern vessel for up to 12. 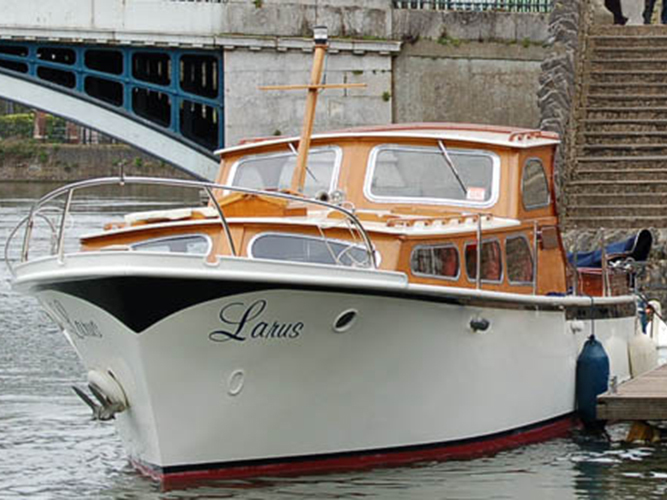 Based near Windsor, Larus is a beautiful boat ideal for groups of up to 10. Sula is based at Oakley Court Hotel, Windsor and offers plenty of space for groups of up to 12. As well as offering our fleet of luxury vessels we are also able to offer Safety Boat & Filming Services. Who are Private Boat Hire? 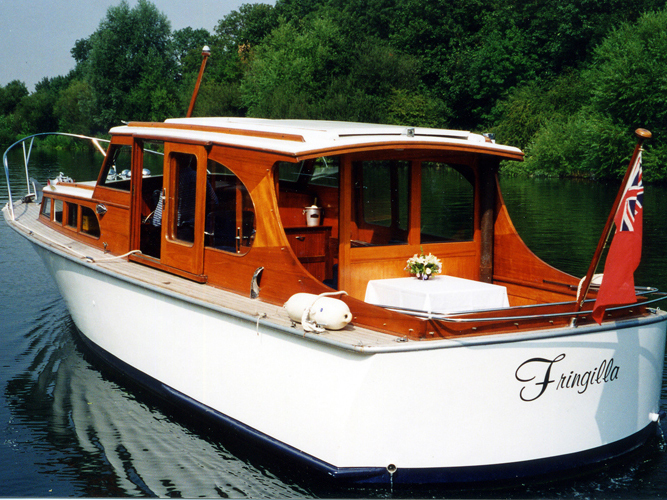 A local family business established for over 30 years, we offer a selection of five beautiful boats for charter on the River Thames. Whether celebrating a special occassion, business or simply pleasure then look no further - a trip on one of our luxury boats is for you. Just have a look at what some of our recent clients have been saying! Fringilla, Larus and Sula. Luxury Thames Boat Hire.